The paddle concept SCUF invented over 4 years ago is the ONLY real solution for utilizing more of your hand in a safe and ergonomic way. SCUF’s award winning ‘flat’ back paddles offer the perfect solution for all SCUF Xbox 360, PS3 controllers and are a very viable option for many gamers on Xbox One. However the new Sidewinder paddles compensate for the deeper handles and fully cater for all hand shapes and sizes for use on the Xbox ONE SCUF! Two outside position SCUF Sidewinder paddles now come standard on the SCUF ONE controller. If a customer chooses a four-paddle option, two SCUF ‘flat’ back paddles will be placed on the internal positions of the controller. Prior to SCUF controller, the middle fingers of the hand were left redundant so SCUF created a way to use them for better performance. 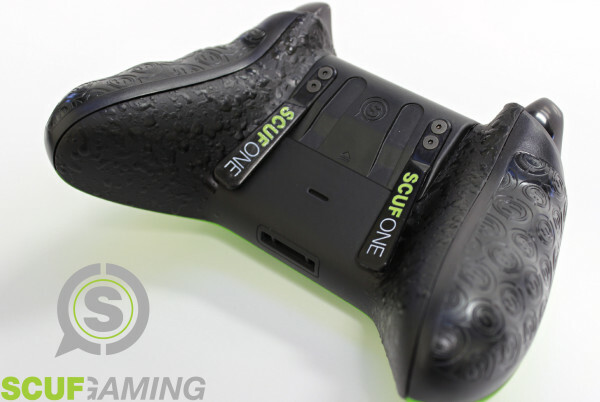 SCUF Paddles can increase the use of your hand by up to 100%. By using up to 4 paddles on the underside of your controller, gamers are able to improve their hand movement and perform more advanced moves. Visit www.ScufGaming.com for more information.